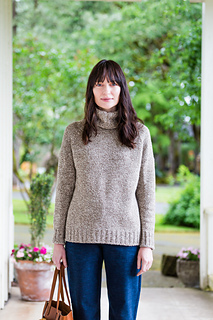 This twist on the basic turtleneck combines raglan shaping on the front and back with concentric decreases on the sleeve caps. 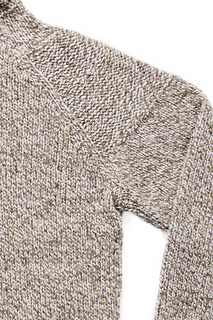 Epaulets of reverse stockinette further accentuate the shoulders and add a dash of style to the sweater. 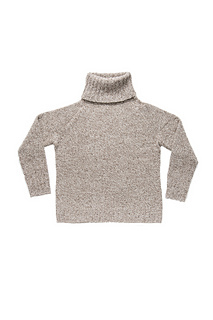 Tailored shaping and double-rib tubular edges keep everything tidy, and a relaxed turtleneck allows for easy layering and cozy warmth. 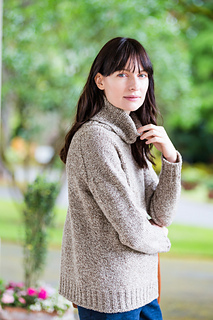 Bottom-up circular construction makes this sweater a straightforward and pleasurable knit, with just enough shaping in the charted yoke portion to keep your interest. 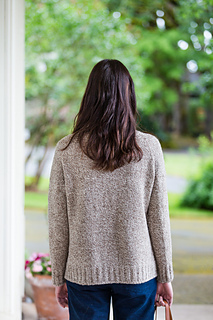 Choose a slightly oversized fit — we styled Meyer with 8½” of ease — or select a size that will give you a classic 2-4” of ease. 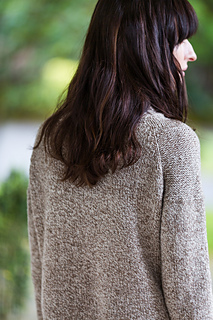 This simple sweater is a perfect canvas for the Shelter marls, but looks handsome in any hue.